The Economic Development Department is proactive in developing relationships with businesses seeking to locate, retain or expand their operation in O’Fallon. The City works to market and promote the area for new business investment, economic growth, quality development and the creation of job opportunities. O’Fallon maintains a close working relationship with the local business community and also with state-wide economic development organizations, developers, site location professionals and others involved in business development. Emergency Notifications – Sign up or verify your business information now! 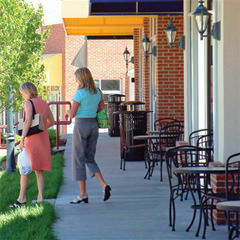 Keep It In the "O"
Select O'Fallon – Learn what makes O'Fallon such a great place to do business. Learn how a Canvasser is defined. Learn how a Peddler is defined. Learn how a Solicitor is defined.